Sitting all day at work is dangerous. So if you're like me, stubbornly refusing to try a trendy standing desk (or treadmill desk! ), then you may as well sit properly. 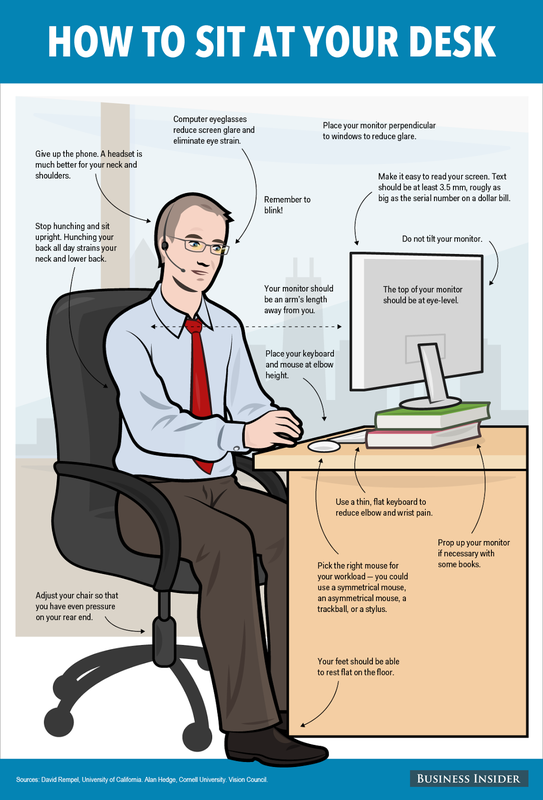 Fortunately, there are some science-backed tweaks to your desk set-up and posture that can dramatically improve your health and happiness. Though to ease your eyes and back, remember to still get up and walk around every so often.